One of Qatar’s loudest critics has signed on to participate in inspections of stadiums and labor camps ahead of the 2022 World Cup. Starting in January, members of Building and Wood Workers International (BWI) will accompany Qatar tournament organizers during these visits. The international trade union for construction workers signed a one-year memorandum of understanding with the Supreme Committee for Delivery and Legacy (SCDL) yesterday. 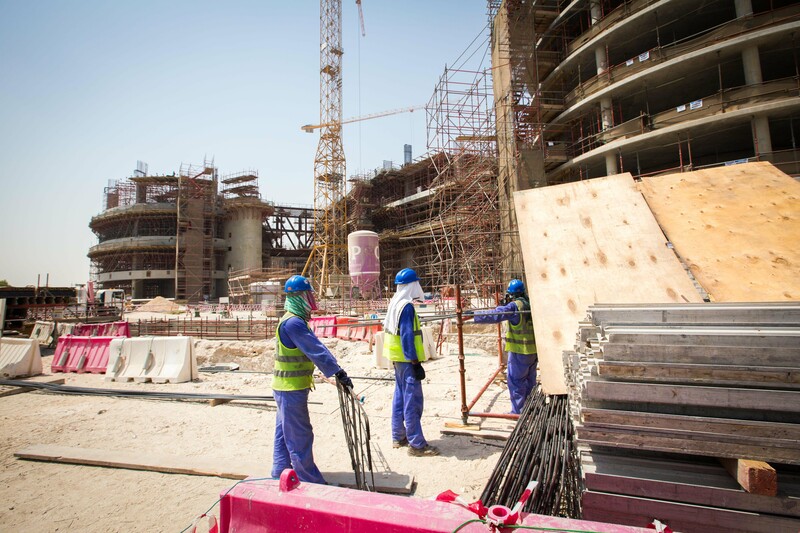 In the coming year, the number of construction workers on Qatar’s World Cup sites is expected to more than triple from 10,000 to 36,000 people. For years, BWI has called on Qatar to improve living and working conditions for blue-collar expats, as well as offer freedom of movement and fair grievance procedures. Speaking to Doha News, Ambet Yuson, general secretary of BWI, described the agreement as “a major breakthrough” in ensuring the safety of employees on World Cup projects in Qatar. “There are many issues, but we want to start with health and safety because it is about the lives of workers. Construction is a dangerous job – we want to make sure every worker is protected and is safe,” he said. For his part, SCDL Secretary General Hassan Al Thawadi said the agreement comes at a “crucial stage” in World Cup preparations. “We have always said we will work with anyone who can help us on this journey. This is testament to that promise,” he said in a statement. It is illegal for non-Qataris to join trade unions in Qatar, but delegations from labor rights’ groups do periodically visit camps and sites in the country. In 2013, a BWI delegation came to Qatar and inspected numerous sites over three days. Following the visit, BWI officials said they saw overcrowding and “unbelievably bad” conditions. These included flooded bathrooms, dilapidated kitchens and workers sharing beds and/or sleeping on the floor in their accommodation. 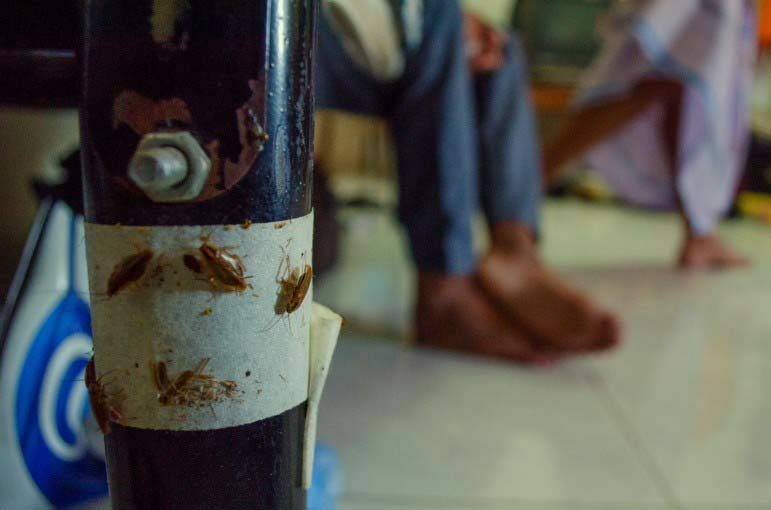 Additionally, a general “climate of fear” among migrant workers has kept many from coming forward with complaints of mistreatment, they said. At the time, officials did not reveal the locations they visited, but the trip came before construction got underway on the World Cup stadiums. During her first official visit to Doha last week, FIFA’s secretary general Fatma Samoura said she wanted Qatar to have better relations with trade unions and workers’ rights groups, such as the BWI. The MOU applies only to visits of construction sites and accommodation that are directly related to the World Cup, excluding the vast majority of projects in Qatar. Furthermore, joint inspections are only being done at sites that involve multinational companies based in countries where BWI currently has representation. To date, the companies that fall under the agreement are from Austria, Belgium, Italy, India and Cyprus. This includes all five of the World Cup stadiums currently under construction – in Al Wakrah, Al Khor, Al Rayyan, Education City and Khalifa Stadium in Doha’s Al Waab. 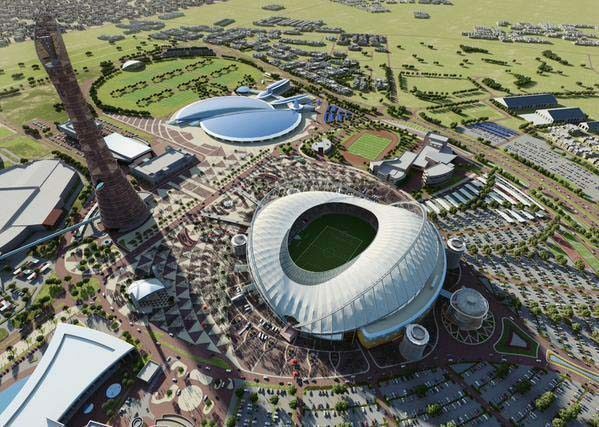 Qatar has so far committed to building eight venues, with details of the Al Thumama, Ras Abu Aboud and Lusail City stadiums expected to be announced next year. The inspections, which also cover labor camps, will take place “regularly,” the SCDL said. A joint working group is being set up to review work done so far, plan future inspections and produce a report that will be made public after each of their meetings, the statement added. No schedule has been set yet for the meetings, but the first one will take place today. The BWI/SCDL agreement follows nearly two years’ of discussions about improving working and living conditions for migrant workers in Qatar. One of Qatar’s key challenges will be to ensure sub-contractors as well as contractors properly look after their workers. “I believe that the big problem is down the chain. The people working for subcontractors are still the responsibility of the main contractor – they are responsible for the whole chain of workers on a project,” Yuson said. As part of the agreement, BWI will also give health and safety training to the SCDL and contractors working on the stadiums. Additionally, it will review and assess SCDL’s Workers’ Welfare forums. These are the existing procedures for employees to air and resolve grievances. The committee already has a “workers’ charter” that outlines basic standards required from all its contractors and sub-contractors. This was updated earlier this year to also cover ethical recruitment, workers’ nutrition, workers’ accommodation and on-site health and safety. However, Al Thawadi admits that more can be done. “While we have made a number of improvements in the last two years, from health and safety to accommodation standards, we recognize there is still work to be done. That’s why we welcome this MoU and look forward to continuing the relationship we began building with the BWI over two years ago,” he said.